This column was shocking when I wrote it for The Daily News back in 1991. We had just returned from a trip to Spain and it took me back to earlier trips to Spain and some of my observations and experiences of those times. It's still shocking today. It so clearly explains how prejudice and bigotry exist and thrive. I'm sure if I read the entries in the Encyclopedia Britannica of today, they would be very different but think how many generations of people read the entries as I quote from them below. 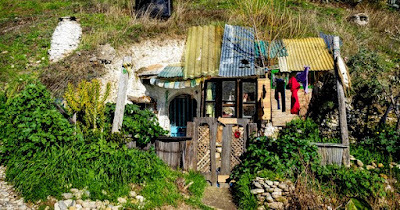 When we were in Italy a few years ago, we encountered gypsies – still called gypsies in many places – who seemed to live much the same way in Rome and Florence as we had observed in Granada almost 30 years ago. The prejudice is still very strong. There remains in many countries an antipathy toward the Roma people, including Canada. 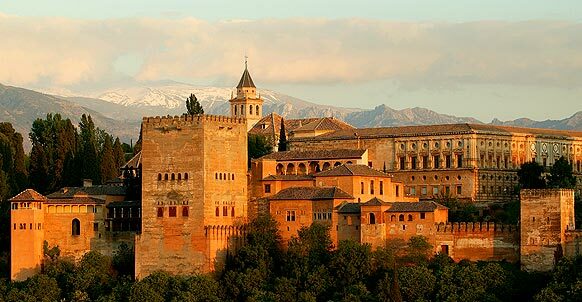 I remember strolling up the hill toward the Alhambra in Granada on one of my earlier trips to Spain and being presented with a flower by a charming, laughing gypsy woman. I accepted it with pleasure, thinking what a nice hospitable country this was, when she demanded payment from my (male) companion. He hadn't noticed any of this and was taken aback by her aggressiveness but things were sorted out, the woman was paid, and I decided I might as well enjoy my flower. I was a little embarrassed that I had so easily assumed it was a gift. I've never accepted another one although the flower vendors – women and children – are as much in evidence on the streets of Granada today as they were 20 years ago. Some of them could be the same ones, I suppose. They still thrust the flowers at women travellers and then turn to the men for the payment – “por amore!” they say, both loud and pathetic at the same time. That particular guide doesn't say watch out for your wallet, although another guide I read recently warned of groups of young gypsy boys in certain areas who, the book said, are accomplished pickpockets. 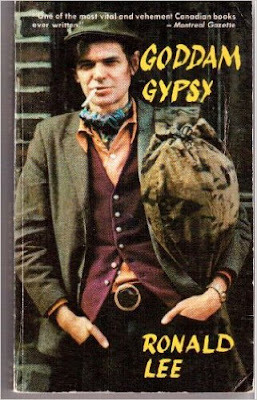 Gypsies are not a people I've thought too much about although I was once fairly well-acquainted with Ron Lee, author of the acclaimed book Goddam Gypsy. But after returning from Spain this time, I kept thinking about them – they live not only in Granada, of course, but are also seen in the other cities, usually street vending. I read bits and pieces about gypsies here and there, and then went to that definitive tool of research, the Encyclopedia Britannica. 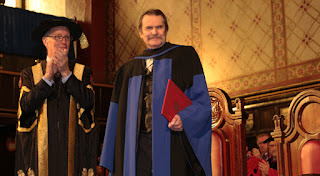 Now I must explain that my Encyclopedia Britannica is quite old. The only reason I have it is because the high school in Chatham, N,B, was being converted into an elementary school and someone called and told me that many books – including a complete set of Encyclopedia Britannica – was being taken to the dump. Imagine! So I went and rescued it. This set was revised in 1960. 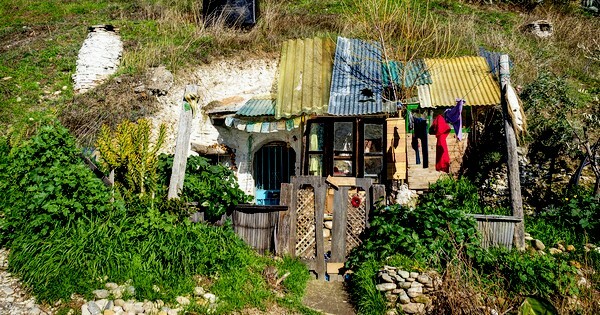 Anyway...I looked up gypsies. I read some interesting things: for example, says E.B., the gypsies were originally a low caste people of India whose language is related to Sanskrit. They dispersed throughout Europe, retaining a common language but integrating it with the language of the cultures they lived among. Oh, where to stop? This leaves me speechless. This is the Encyclopedia Britannica, not the National Enquirer! Ron Lee was a bitter, angry man when I knew him. No wonder. I wonder whatever became of him? * As for me, if I'd read this before, I suppose I'd have bought every flower ever offered to me on the way to the Alhambra. *After I read "I wonder whatever became of him?" I browsed around to see what I could find. Ronald Lee's website is called kopachi.com and it looks really interesting with lots of information and articles. I was really happy to find it; it cheered me up immensely. I hope you go visit the website. He was presented an honourary laws degree by Queen's University in 2014. Sometimes there are happy endings. Last time I saw Ron he was working as an editor for Midnight. Pretty good step up -- as I should know.